The best chest exercises for men for a chest-pumping workout! Wanting to grow your chest, men? We thought so. So here are eight of the best chest exercises for men (and women), along with three complementary chest workout routines, to do just that! 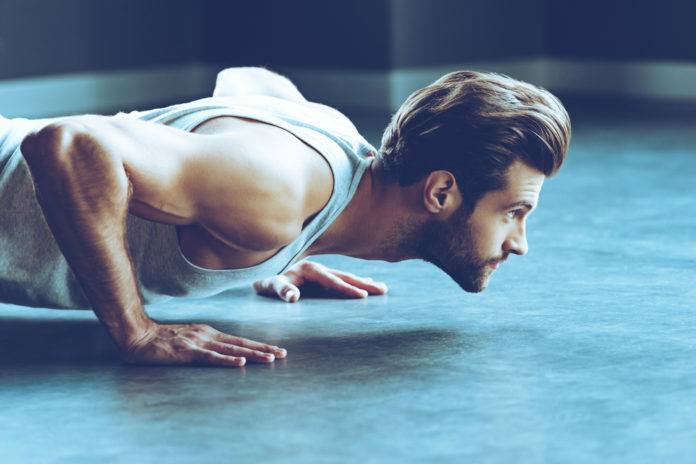 One of the most recognized and best chest exercises for men (and women) do not require any sort of equipment and can be completed virtually anywhere… Pushups! Tackling these 11 push-up variations can also take your pump to the next level. Barbell bench presses allow both beginners and training experts to push the most weight with easy control. Going on an incline also places extra emphasis on the upper chest area. Swapping out the barbell for dumbbells requires greater stability from the muscles, as dumbbells are harder to control. Performing dumbbell bench presses also grants greater range of motion and each side of the body must work independently when using them. Like barbell bench presses, you can also press the dumbbells at an incline. While barbells and dumbbells are great and all, the seated machine press allows individuals to focus on the weight itself and even slow down on the repetition. Traditional dumbbell flyes target the pecs and delts, allowing with involving muscles in the arms and back if properly executed. Incline dumbbell flyes also target the upper chest. But especially if new to chest flyes, the Pec Deck (also known as the Butterfly) machine allows you to push the weight without having to balance any dumbbells or cables that are explained right below in chest exercise #6. Standing cable flyes focus on a bilateral and isolated movement. Along with targeting the chest muscles, the cable flyes impact the shoulders and triceps. Whereas dips are commonly known to target the triceps, varying it to target the chest is not only possible, but highly effective. Especially if new to chest dips, you can use a machine to assist until the strength is gained to complete them unassisted. Tackling dumbbell around the worlds is a great way to work your chest and stimulate growth by moving in a greater range of motion. With this being an intermediate movement, be sure to use low weight and advance as you are able to lessen the risk of injury. Before starting any sort of workout regimen, consult with a primary care provider to ensure safe there are no any safety concerns. Especially if new to strength training, seek out professional guidance and assistance to avoid injury and show you the ropes. 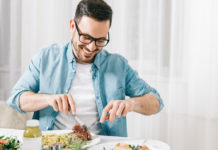 Most gyms offer personal trainers, so at least utilize such services until starting to feel more comfortable and confident navigating through the weight room. Always warm-up the muscles and joints you plan to work first to protect against injury. Use proper form during all exercises. Take a couple or few days’ rest before targeting the same muscle group again. 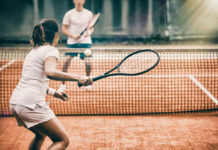 Is Tennis The Secret to A Longer, Healthier Life?